A Japanese District Court ruled this week that Samsung used its Standards Essential patents in an attempt to get the court to force a sales ban against Apple. At the same time, Samsung was using these patents to try to grab higher royalties than normal, from its rival. Because these patents are required to produce certain products, negotiations to secure a licensing agreement for them are supposed to be conducted using FRAND terms. In other words, setting royalty rates for these patents should be done in a fair, reasonable, and non-discriminatory manner. Samsung also failed to disclose its patent until two years after the ETSI standards body adopted its invention as a standard part that every phone manufacturer would have to license, in order to produce a working phone. 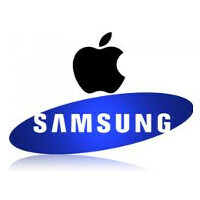 As a result, the court ruled that Samsung had no business requesting a sales ban against Apple, and capped the price that Apple has to pay to license the Standards Essential patent from Sammy to 9.9 million Yen ($95,000 USD). Just the other day, Apple and Google's Motorola Mobility dropped all suits against each other and reached a settlement. It seems that the animosity between Apple and Samsung runs too deep for such a settlement to take place between those two tech titans. Yet Apple is the patent troll which is backed by US court. And the Japanese are blind simpleton fools taken the fruit side. Too many things they all do that are stupid making it never a black and white issue. Both should just move on. That's likely it, and I'm sure Samsung feels their honor has been tarnished by Apple's ridiculous claims and bans. Both need to work this out and move on. so many courts cant be wrong! apple=troll; samsung=copycat. we can't deny samsung's innovations. what we can agree on, however, is that its success was built on being a copycat. the company has come a long way. they should just make amends with their past mistakes although i think they are unlikely to regret doing what they did when it meant the kind of success they have now. ...ideas." Samsung steals IP. Enough said. Stolen ideas that become someone else's IP is known as patent trolling. But glad to see you support Apple making money on the ideas of others. Enough said. As per the ITC and the United States District Court for the Northern District of California, so does Apple. An idea is the heart of what makes a patent. Apple has patented many ideas of others. Both companies don't know anything bout innovation so please STOP using that word. Wrong; apple=bigger copycat. One who shamelessly rips off features from others and still pretend innovating. Android notification drawer, web os cards style multitasking, toggles and much more. And your link to that? Listen, Apple PAYS for royalties for the technology they use and we all know that Samsung copies then tries by any means necessary to avoid paying anything. The very article you're currently commenting on is about Apple not paying for FRAND patents. I can post a link to this article if necessary. Apple is one of the few companies that does not PAY royalties to Neonode who have slide to unlock in IP (coincidentally it was also Neonode's idea). Yet, Apple has sued Samsung, HTC, and Motorola over it.http://www.macobserver.com/tmo/article/analyst_apple_may_buy_swipe_to_unlock_company/ Rather than PAYING royalties to Android for pattern unlock, Apple filed its own patent. http://www.technobuffalo.com/2014/04/17/iphone-android-pattern-unlock-apple-patent/ It's amazing that people say so many things that are easily disproven in an effort to paint a positive picture of Apple.